We have a doozy of a wine for you, Operative! 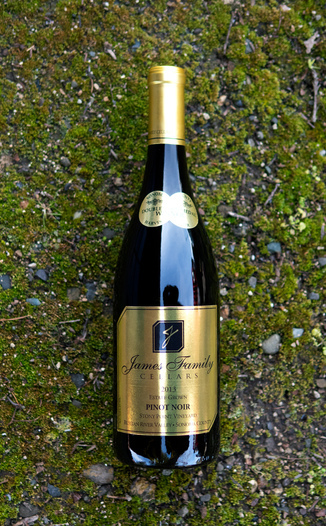 James Family Cellars is back with a new, multi-award-winning Pinot. 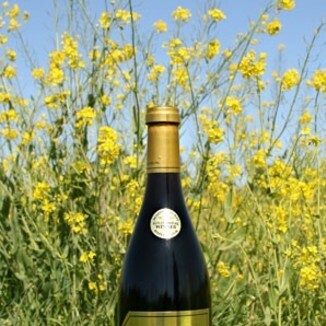 This wine is the best that we’ve ever had from this popular winery. Today’s 2013 Russian River Valley Sonoma County Pinot Noir is one of the most delicious, juicy, fruit-driven Pinots we’ve ever tasted. We’re crazy about this wine! This double Double Gold-winning Pinot Noir has a medium body that has excellent color consistency of a vermilion shade throughout. 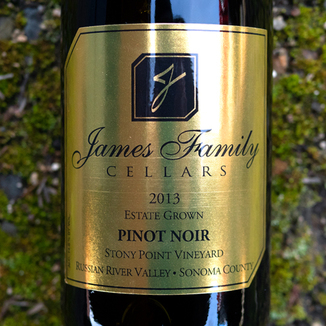 While possessing a classic Pinot Noir nose with earth notes of red clay, it also has interesting notes of lavender, marmalade, orange blossom, and wild strawberry. Interesting fruit notes of lychee and rhubarb come out on the palate, sarsaparilla, black cherry, and kalamata olives - very complex, while being tasty. Absolutely luscious tannin provides a mellow mouthfeel, while the acidity drives the fruit for an elegant finish. This Pinot Noir is dry, but it would compliment a sweet and savory dish such as Moroccan couscous with lamb and yellow raisins. 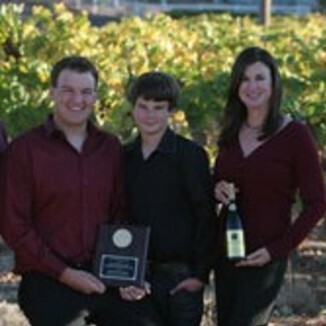 So, why haven’t we featured a James Family Cellars wine in the last five years? Scarcity, folks. The winery doesn’t produce very much wine and those that they do produce are quickly snapped up. We had to practically beg them for this best-yet vintage, and they relented. We don’t have a very large allocation, so please be sure to reserve yours - before your fellow Operatives buy it out! Medium body that has excellent color consistency of a vermilion shade throughout. Earth notes, red clay, lavender, marmalade, orange blossom, and wild strawberry. Lychee, rhubarb, sarsaparilla, black cherry, and kalamata olives - very complex and tasty. Absolutely luscious tannin provides a mellow mouthfeel, while the acidity drives the fruit for a elegant finish. Moroccan couscous with lamb and yellow raisins.